Who was Pierre-Simon de Laplace and what did he contribute to mechanics? 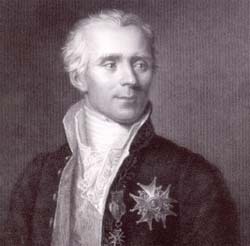 French mathematician and astronomer Pierre-Simon de Laplace (1749–1827) made a number of key contributions to mathematics, astronomy, and other sciences. Together with chemist Antoine-Laurent Lavoisier, Laplace helped develop our understanding of the interrelationship of chemical reactions and heat. In physics, Laplace applied the calculus, recently invented by Isaac Newton and Gottfried Wilhelm von Leibniz, to calculate the forces acting between particles of matter, light, heat, and electricity. Laplace and his colleagues created systems of equations that explained the refraction of light, the conduction of heat, the flexibility of solid objects, and the distribution of electricity on conductors.